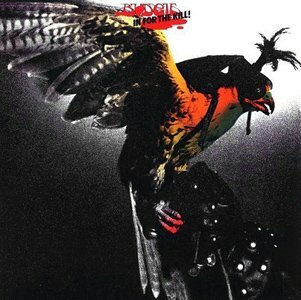 BUDGIE - IN FOR THE KILL REMASTERED (DIGI) | Online Shop | Wizard LTD. Album: "IN FOR THE KILL REMASTERED (DIGI)"
In for the Kill! is Budgie's fourth album. It was released in May 1974. It includes a re-recording of the song "Crash Course in Brain Surgery", originally released in 1971 as a single. The song was covered by Metallica for their 1987 EP Garage Days Re-Revisited, while the album's title track was covered by Van Halen during the group's club days. All songs written and composed by Tony Bourge and Burke Shelley, except where noted.